Wrestlemania. The biggest wrestling event ever. Only the best succeed. Play as many legends and show 'em who's boss! 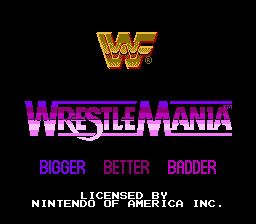 Classic wrestling game here! Fight in a tournament or single mode! Choose from 6 wrestlers.